CTF - change "playing to 3"
Discussion in 'Mapping Questions & Discussion' started by l3eeron, Apr 29, 2009. I was going to try to use the regular CTF mode on my "plant the flag/ctf-push" map. Which works great, but I have 4 CPs on the map, and the round ends at 3 by default (like 2fort and turbine). Is there some way to make it "Play to 4"? I would be stoked if I could get it to score 1 point when all 4 intels are capped (or 1 point to red for time running out)... not 1 point for each time the intel is capped. But, that's not even really that important to me. I have been using the attack/defend mode on the intel settings for my map. I guess it was never fully developed, and they just left it in for some reason. Anyway, here are the bugs with the attack/defend ctf mode. BUT! It does allow me to do more than 3 caps in one round! Any help sorting this out would be greatly appreciated. 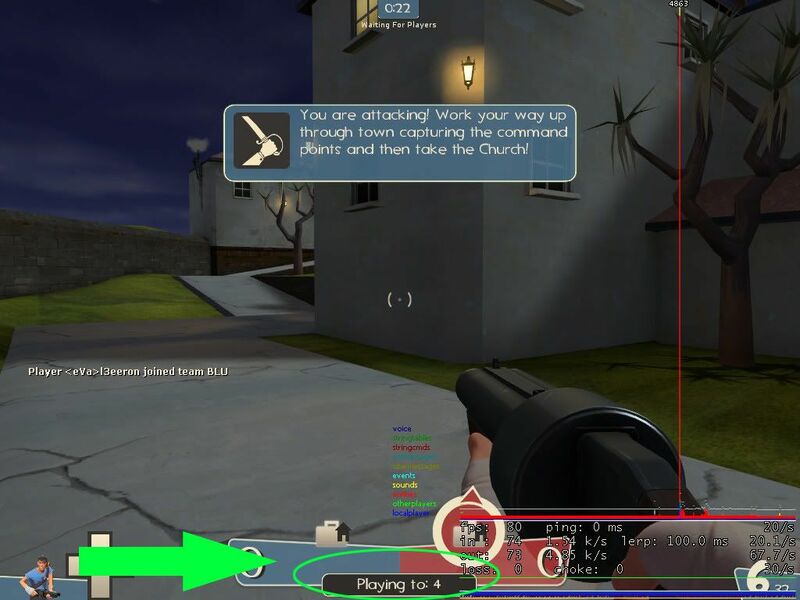 You can override the server setting to max caps with a point_servercommand. The TFC dustbowl gave the capper 30 points, that's where that got left over from. Try using the Invade setting, as that is what Avanti was called. Thank you for the awesomely fast response. I tried something like this before, and it crashed my game and rendered the vmf unreadable. What's the working entity setup like? This post helped me... Thank you very much.